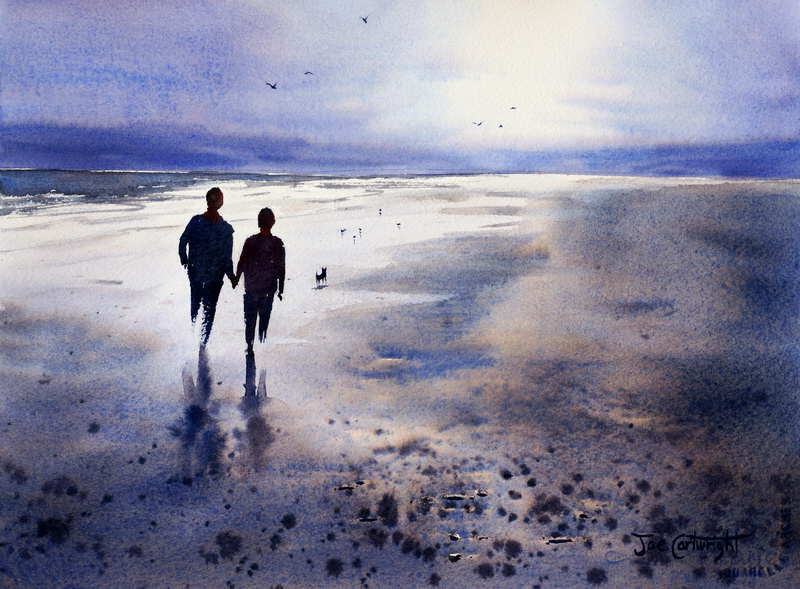 This watercolor landscape painting is of a sunset beach scene set in Tasmania, Australia; however it could just as well be almost any other location with a sunset along a pebbly beach. 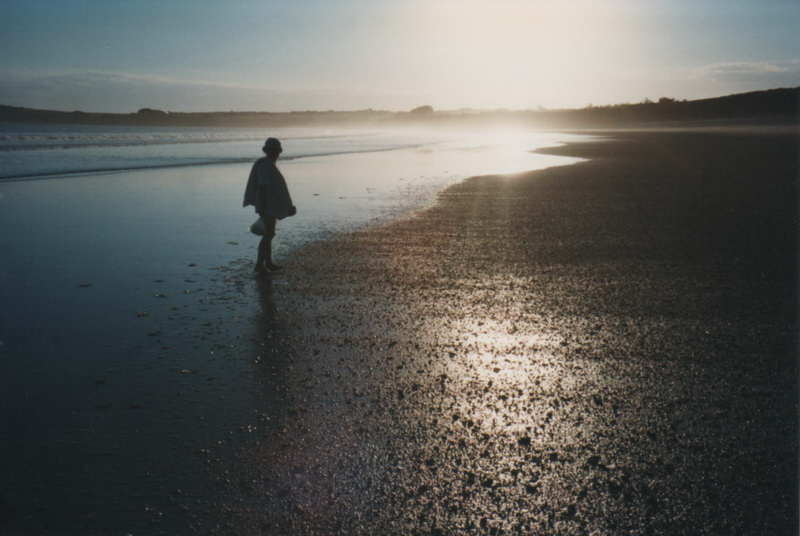 I was attracted to the light reflections on the sand and pebbles and the high horizon line. The photograph already has a dramatic atmospheric feeling which I wanted to capture in my painting. I have added a little to the mood and atmosphere by having two people in this beach scene instead of one. Other than this, there was very little need to change anything. This is a very good photograph to use when you are first starting out with watercolors as you don’t have to concern yourself with changing what you see but rather going along with it. Later as you gain more experience you can modify the lighting, one of the primary causes of mood in a scene, to create the feeling and atmosphere you are after rather than just sticking to what is in the photo. An artist, by the way, is a creator and there are no rules that say you can’t move things around and change aspects of the scene to create a better watercolor painting. Watercolor Paper: Quarter sheet (37cm x 27cm) of Arches 300gsm Cold Pressed watercolor paper. Any other artist quality Cold Pressed (Medium) watercolor paper would be quite suitable as well. Watercolors: Winsor and Newton artists watercolor paints; Cobalt Blue, French Ultramarine, Burnt Sienna, Alizarin Crimson, and Cadmium Red. Backing board to support watercolor paper. After selection our reference photo the next step is to do the drawing for our beach scene.